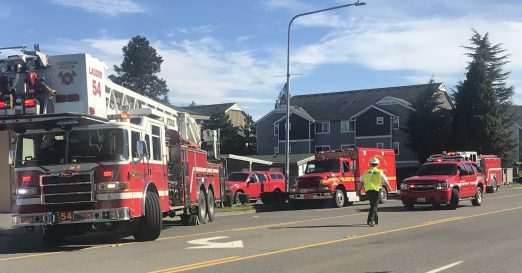 ORIGINAL 6:27 PM REPORT: A reader asked us about all the sirens they could hear from White Center and we subsequently found out a 2-alarm apartment fire is burning in North Burien, at Ambaum and 122nd. 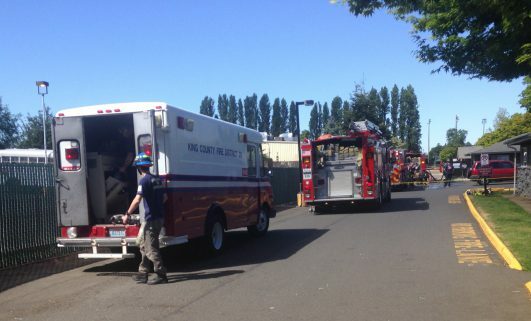 Even Seattle Fire has sent units for “mutual aid.” No other info so far but avoid the area! ADDED LATE TUESDAY NIGHT: Regional media report one death in the fire. 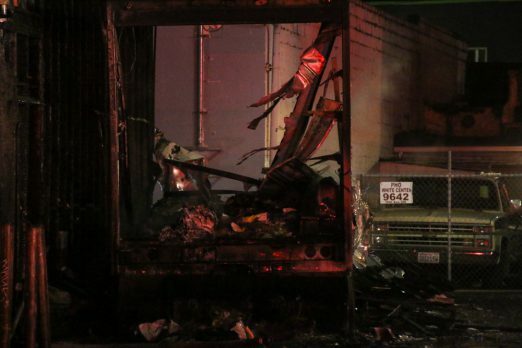 It was started by “smoking material” and considered accidental, according to investigators. 25 survivors are getting help from the Red Cross. North Highline and other fire departments fought a house fire in the 10200 block of 28th SW this afternoon. (Thanks to everyone who texted us about this – 206-293-6302 text or voice is our 24-hour hotline.) The incident commander told us at the scene that no one was hurt and they don’t believe anyone was in the house when the fire started; they were investigating the cause. 7:29 PM: Out of power? You’re far from alone. 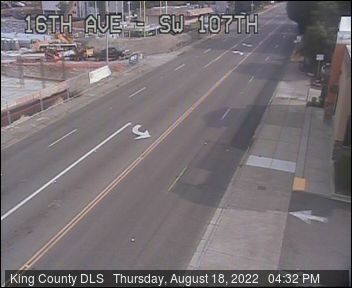 3,000-plus customers in White Center and south West Seattle, because of a vault fire near 22nd/Roxbury. (And Roxbury is currently blocked by the Seattle Fire response.) 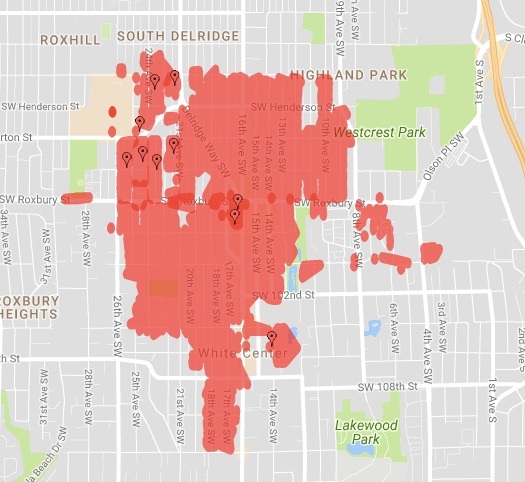 We’re covering the outage on partner site West Seattle Blog – go here for the latest. 8:41 PM: The City Light map shows just about everyone should be back on. If you’re not, please be sure they know – 206-684-3000. 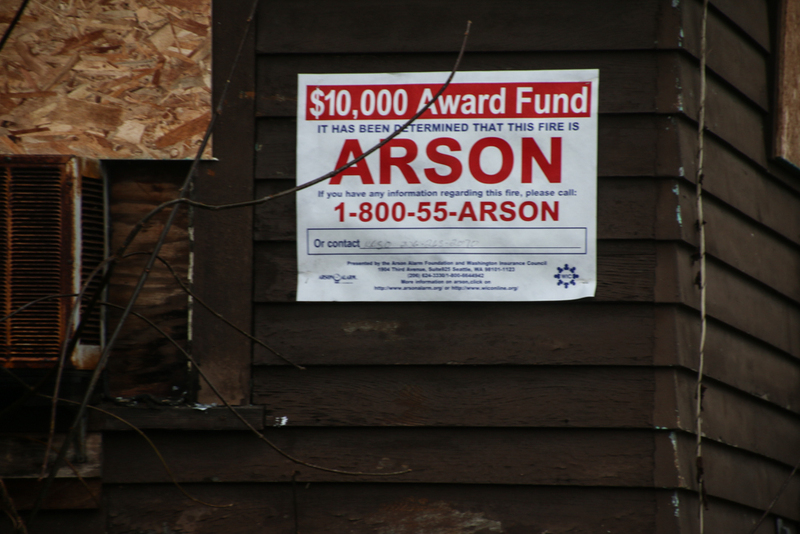 Thanks to commenter LS for reporting that signs were up at both recently burned houses on 11th SW, declaring the fires to be arson and announcing a $10,000 reward fund. King County Sheriff’s Office spokesperson Sgt. Cindi West tells WCN, “We suspect both are arson. The second house had a fire inside; then after it was put out, we had to go back for a fire on the deck. No suspects at this time. 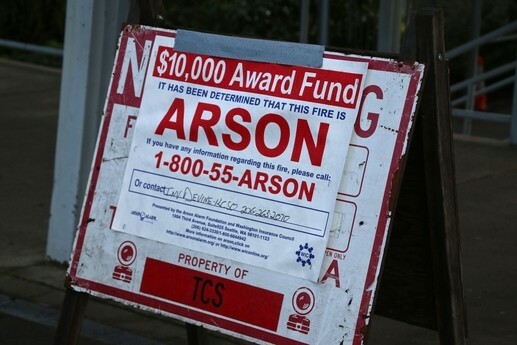 Of course we don’t know if the two house fires are related, but based on timeframe and locality it appears that way.” If you have any information about either or both, call the number on the signs – 800-55-ARSON. 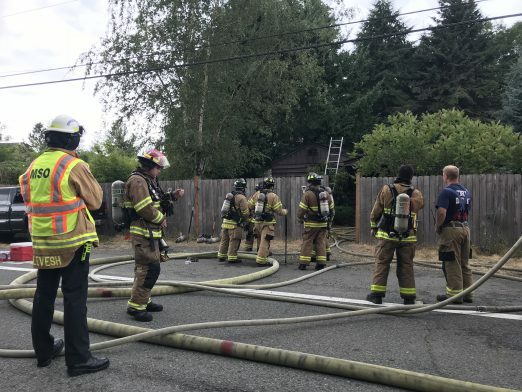 Thanks to Syd for the tip on this – a house fire on 11th SW, south of SW 112th, is under investigation tonight, in the same block where another house caught fire days earlier. The house is vacant, and no injuries are reported. Investigators at the scene weren’t commenting on the possible cause; we’ll be following up tomorrow. 6:01 AM: The helicopter that woke many up in White Center/South Delridge about an hour ago was NOT related to last night’s Guardian One search in Top Hat – it was a TV helicopter (the one shared by KING/KOMO, according to our flight tracker) checking out an early morning truck fire that briefly brought a sizable response to 15th/98th. North Highline firefighters tell us a refrigerated truck trailer was destroyed by the fire, and are still trying to find out how it started. No injuries. Also some damage to an adjacent building, including power lines – we’ll be going back once it’s light for a closer look. 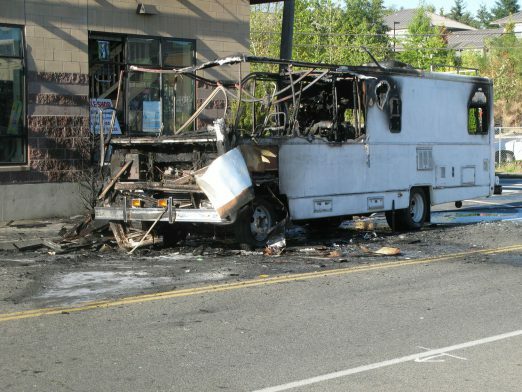 In the photo above, you can see the blackened area where the fire spread to the building by which the trailer was parked. 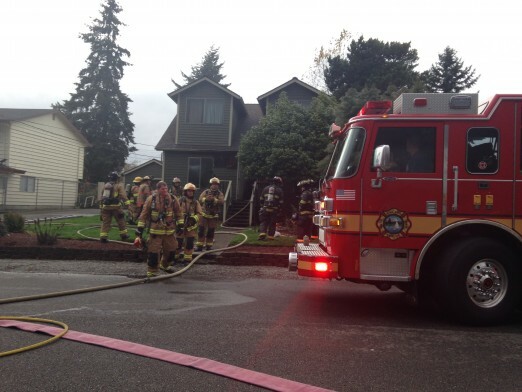 Thanks to Colby for that photo, the first we received from a house fire this afternoon near 26th SW and SW 109th. One person suffered minor injuries, we’re told, and was treated at the scene. 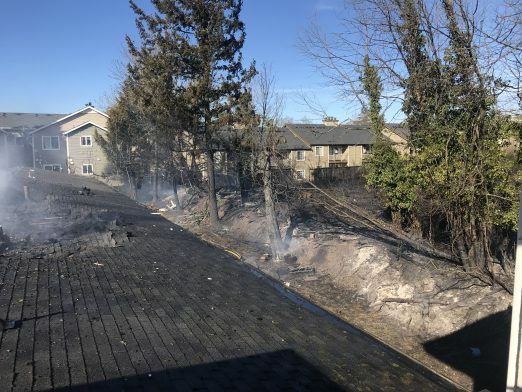 By 3:45 pm, the fire (at 10907 26th SW) was out or close to it, our crew reported, and investigators were on the way to try to find out how it started. 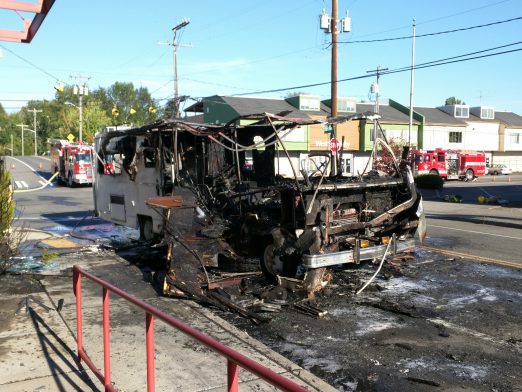 ORIGINAL REPORT, 5:42 PM: Maybe you saw the smoke – that RV caught fire on SW 100th by 14th SW in downtown White Center this afternoon. North Highline Fire responded, and Seattle Fire sent an engine to help. 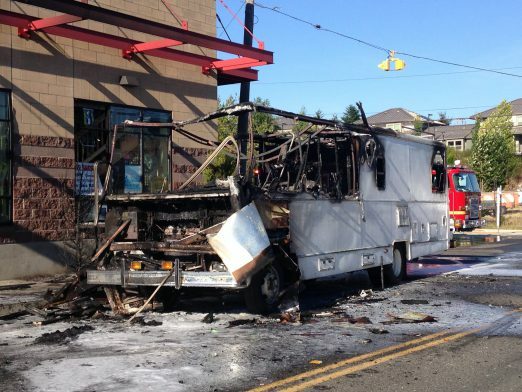 Our crew at the scene was told nobody was hurt, and the cause is under investigation. You’ll want to avoid the intersection a while longer as they work to get the damaged RV in a position where it can be towed. Gill reports Fire District 2 (Burien) was on scene too and investigating. The King County Fire Marshal today issued a burn ban in unincorporated areas of the county to prevent wildfires during the hot, dry conditions. In addition, the National Weather Service has issued a Fire Weather Watch for this weekend. This is a Stage 1 burn ban and applies to all outdoor burning except for small recreational fires in established fire pits at approved campgrounds or private property with the owner’s permission. Recreational fires can pose a hazard so please use extra caution and consideration this weekend. -Be attended at all times by an alert individual and equipment capable of extinguishing the fire. For properties located within cities, contact your local jurisdiction for requirements. This ban remains in effect until further notice. 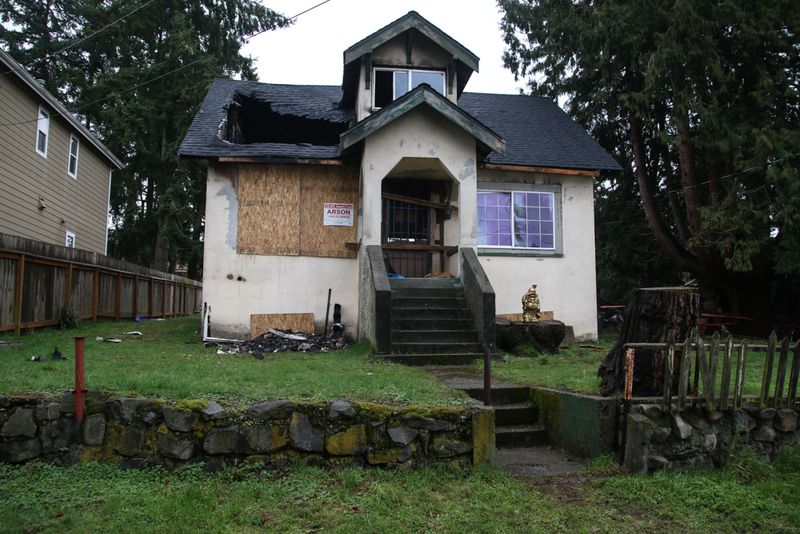 The King County Fire Marshal will post updates on the burn ban on the Department of Permitting and Environmental Review website. 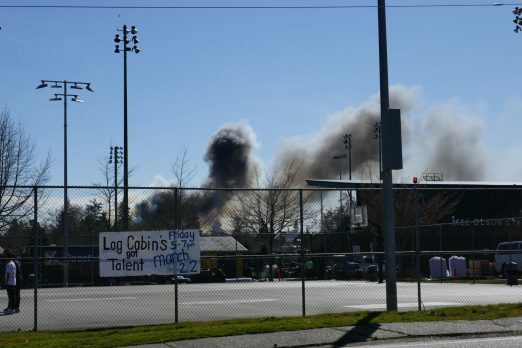 3:07 PM: Thanks to Jonathan for the top photo and tip: North Highline firefighters are at an apartment complex near Steve Cox Park this afternoon after flames tore through at least one unit. Our crew is at the scene now waiting to talk with the incident commander to find out more about what happened; so far, we know only that no one was seriously injured. More to come. 3:11 PM: NHFD tells us that three units were damaged by the fire – they don’t know yet what started it. No one was hurt; one resident went in to rescue his cat, which is also OK.
Just before 1 am, King County Sheriff’s deputies responded to a burglary alarm at Cascade Middle School in the 11200 block of 10 Ave SW in White Center. When deputies arrived, they found at least 2 windows had been broken out and it appeared the suspect(s) were still inside the school. 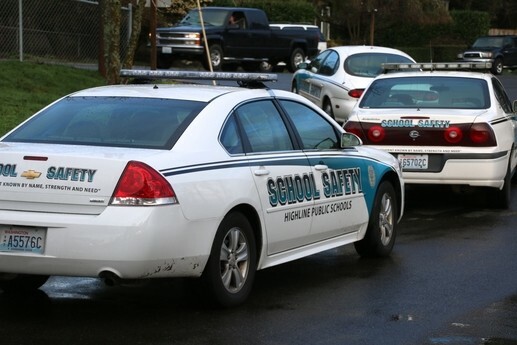 The suspect(s) ran as deputies entered the school. While searching the school, deputies found 2 small fires that had been set. (North Highline Fire District) responded to extinguish the fires. 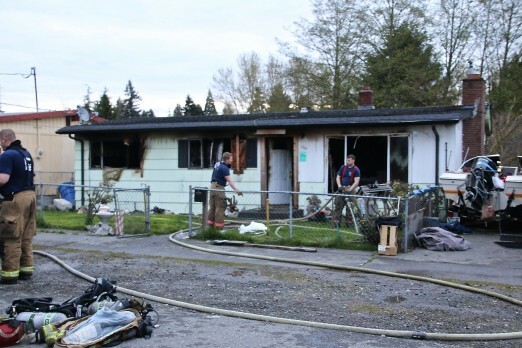 King County detectives are investigating the burglary and arsons and said the school had been broken into once before within the last couple of weeks. A fire had been started at that break-in also. 10:12 AM UPDATE: We went by the school, which is open. Out front, we saw both the “ARSON” sign shown atop this story, and the multiple school-security cars in the photo above this line. We’ll be following up with KCSO later today. 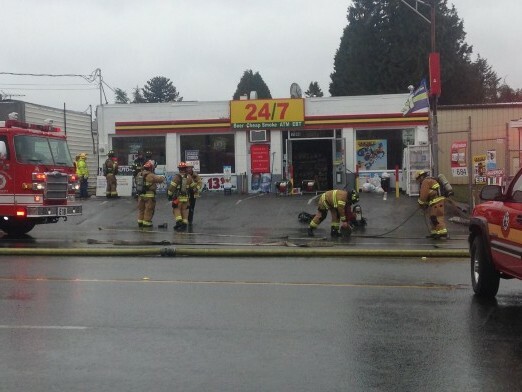 2:03 PM: Big fire response in Top Hat this afternoon, at the convenience store in the 11000 block of 1st Avenue South. Along with North Highline Fire District, the Seattle Fire Department sent help via mutual aid. Our crew is there and says there’s not much damage visible from outside but crews are using fans to ventilate the mini-mart. Also, SW 112th is blocked right now because of the response. Regional media is at the scene too and we’re expecting a briefing shortly with details of what happened. 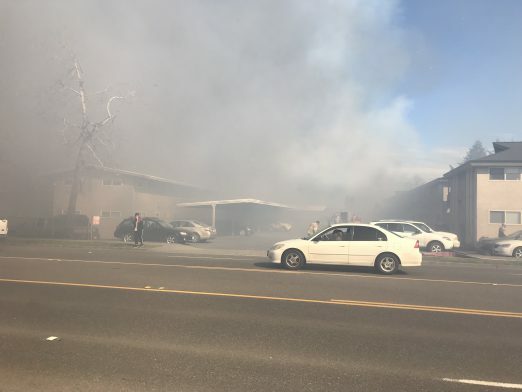 2:27 PM: Firefighters tell us that the fire involved vehicles behind the mini-mart, which explains why nothing’s obvious from the front. Our crew is finding out more from the chief at the scene right now. North Highline firefighters are just wrapping up their work at a house in the 10800 block of 11th SW, where a small fire started in a wall and extended to the ceiling before it was put out. They tell us damage is not major and the home’s residents will be able to go back inside soon. Nobody was hurt. The fire’s cause has not yet been determined. 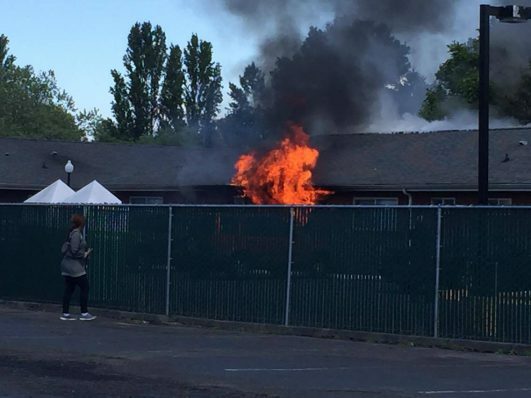 We know more today about the 36-year-old woman jailed for investigation of multiple White Center arsons – such as, she has “a flame on (her) right arm.” That’s from the section of the police report where suspects routinely are described. She appeared in the jailhouse courtroom this afternoon, where bail was set at $30,000, according to the King County Prosecuting Attorney’s Office. Court documents describe the five fires she is accused of setting late Sunday night/early Monday morning. Two were at Samway Market; two others in dumpsters in a nearby alley; and the fifth was in a recycling bin outside the Mac’s Triangle Pub in South Delridge, across Roxbury from the south edge of White Center. Court documents say she was identified via surveillance video that shows her lighting multiple fires, and that she has been arrested for arson in the past; she allegedly told investigators that “voices in her head told her to (set) the fires because they were pretty,” the crime report says. Prosecutors will decide by week’s end on whether to file formal charges. The new King County Sheriff’s Office Storefront Deputy for White Center, Bill Kennamer – introduced at this month’s North Highline Unincorporated Area Council meeting (WCN coverage here) – reports the arrest of an arson suspect. After what he describes as “several” arsons this past weekend, “today at about 11, Master Police Office Spence found and arrested the suspect in these arsons. The Arson Investigators responded and the suspect admitted to lighting the fires. 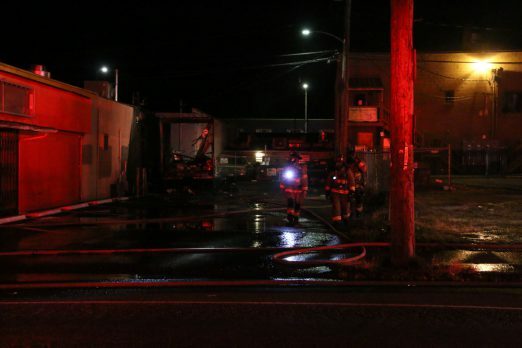 She was booked into the King County Jail on 4 counts of Arson 2nd Degree.” Thanks to a reader tip, we know one of the fires was at the Samway Market on 15th SW late last night. We’re following up in search of more information. 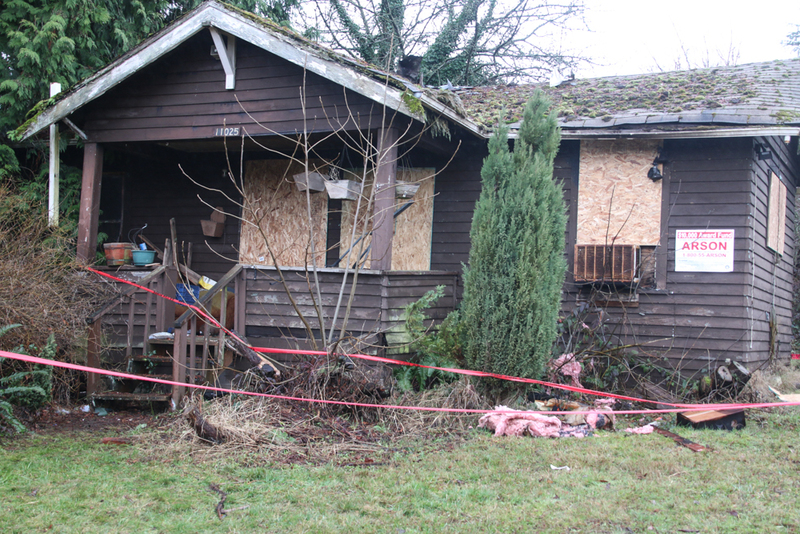 On March 19, 2015, the South King County Fire Training Consortium will be conducting live fire training at 10635 4 Ave. SW [map] between the hours of 7:00 am and 7:00 pm. Live fire training is the carefully controlled burning of a specially prepared house that exposes firefighters to the conditions that they would find at an actual house fire. Firefighters practice extinguishing the fire, searching for victims, and clearing smoke out of the building. 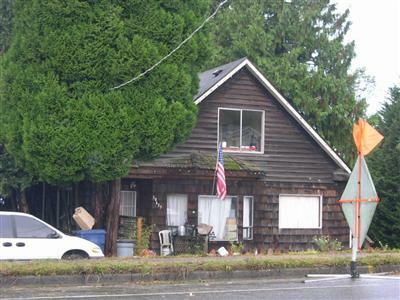 Prior to the house being burned, all the oil-based materials including carpets, tar paper, and asphalt shingles are removed to reduce health risks and pollution. Unfortunately, some smoke will be produced as the training is conducted. We recommend that people living in the area close their windows as a precaution. Those with respiratory sensitivity may want to consider being away from home during the training times. There will be a temporary closure of 4 Ave. SW in both directions between SW 106 Street and SW 108 Street from 6:30 am until 7:30 pm. This closure will allow fire apparatus and personnel to move around the property safely. Detour signs will be posted and traffic rerouted. Homeowners on the closed section of street will be able to get in and out of their residences. 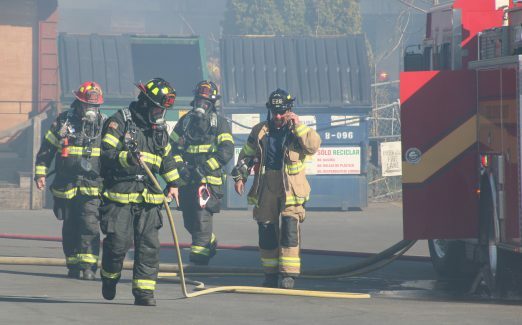 The South King County Fire Training Consortium is made up of eight fire departments and was created to allow firefighters from different departments to train together, using a common standard, and in a cost effective manner. The SCKFTC serves over 650 firefighters. Metro also has sent an advisory that Route 131 will be rerouted for a while because of this. In case you heard the sirens: Fire on 1st Ave. S.
September 13th, 2014 Tracy Posted in Fire, White Center news Comments Off on In case you heard the sirens: Fire on 1st Ave. S.
We’ll update if any other details are reported. North Highline Fire District crews are still at the scene of a house fire on 13th SW south of SW Roxbury. The incident commander tells WCN that no one was in the house when it caught fire before dawn; there are residents in an RV on the property, and the house was full of items being stored. An investigator will be working in the hours ahead to find out what started the fire.